September 8, 2016 marks our 30TH YEAR IN BUSINESS!!! | MEPC Inc.
September 8, 2016 marks our 30TH YEAR IN BUSINESS!!! Congratulations McGuire Engineers Inc. on this wonderful milestone. Founder, Anthony B. McGuire, P.E. 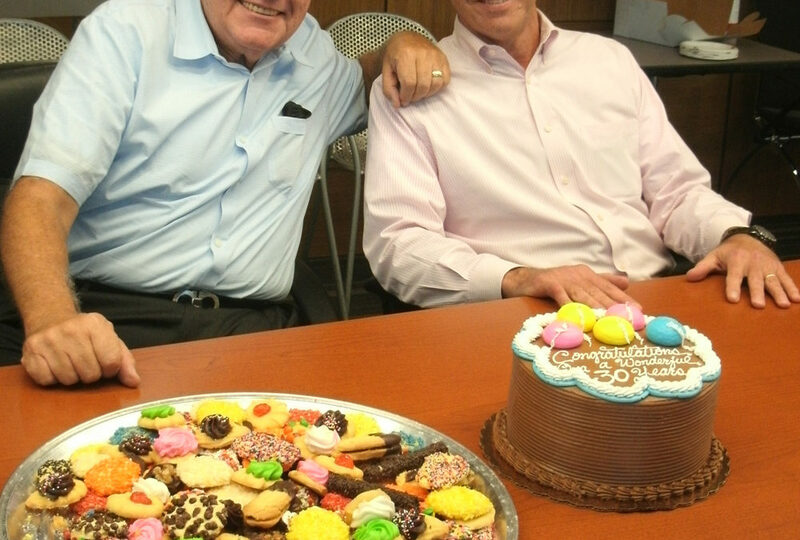 and President, William “Bill” Stangeland celebrate over cookies and cake.